Hella Handmade Creations featured guests for March are Blush and Stella Chroma. 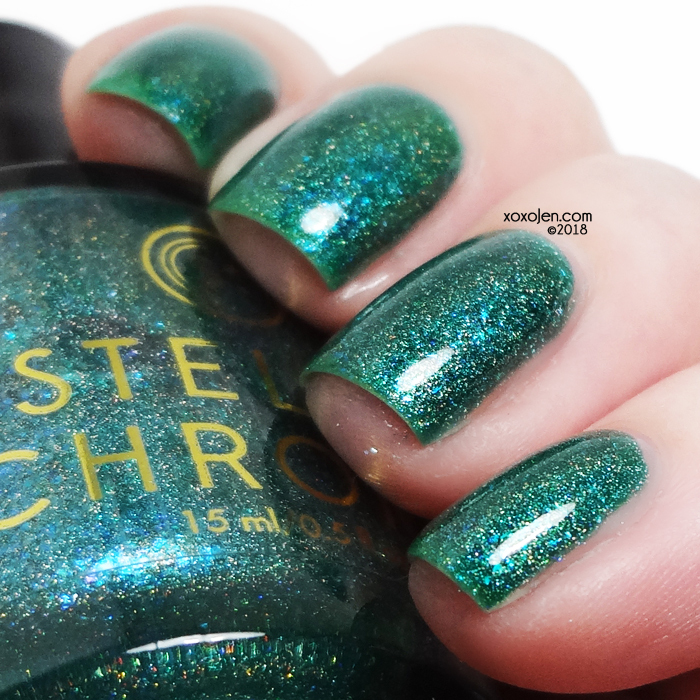 They've both made beautiful polishes which are available March 14 through the end of the month to HHC Members only. You'll need to join the facebook group to get the sale link. 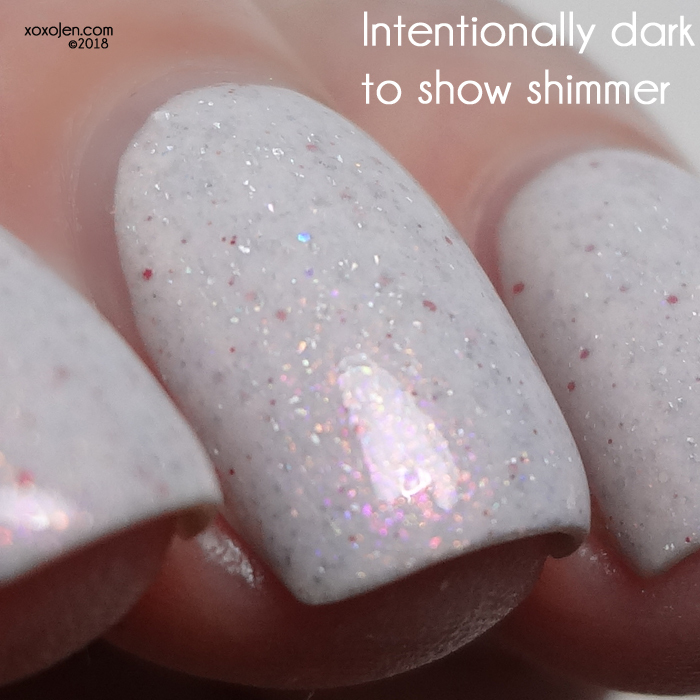 An off white base with a pink shimmer, red & pink holo glitters and holo flakes with a light scattered holo effect. Smooth, creamy formula and love that brush! I was inspired to do nail art, this features a subtle pink gradient using Love Yourself First from Girly Bits and an MDU stamping polish with heart design from a generic plate. A silver toned teal base with black, silver and teal holo glitters, Holo pigment, Holo flakes and a silver sheen with a linear holo effect. 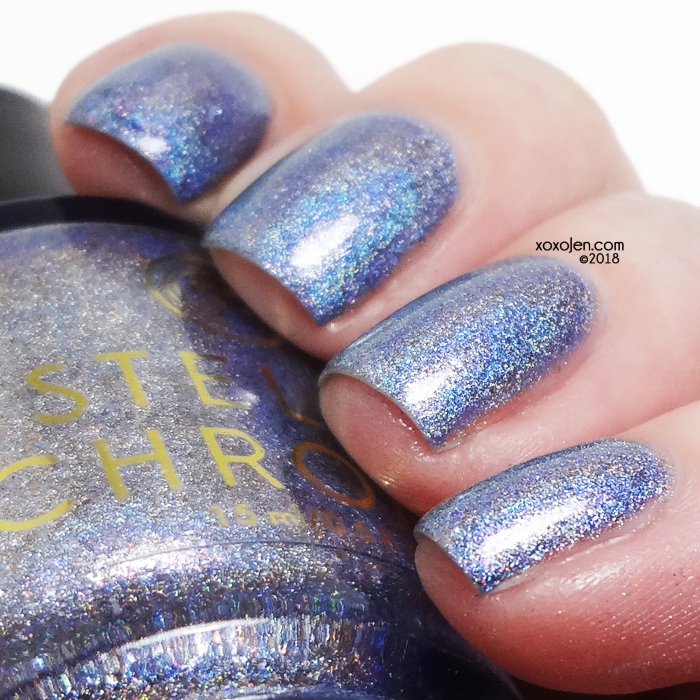 It has a very crushed gemstone look to it and is opaque in just one coat! 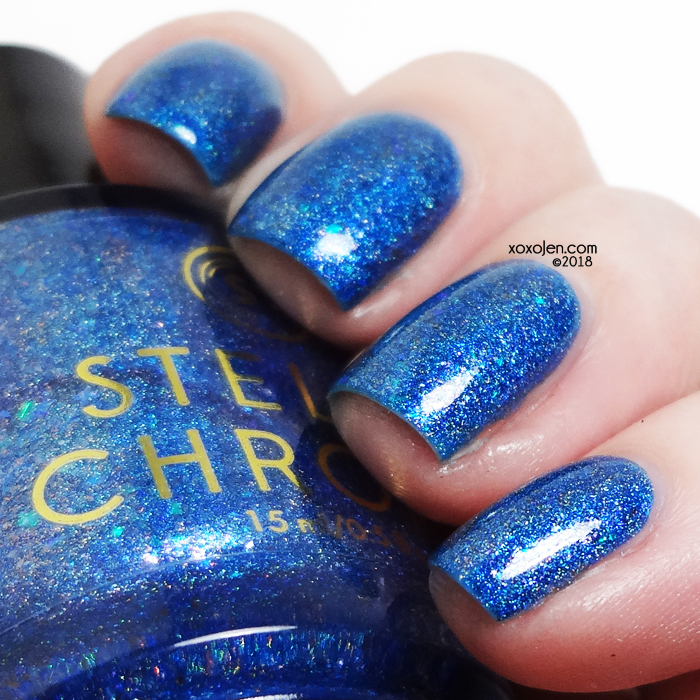 A medium grey-blue base with bright electric blue micro flakes and a linear holo. Loving the blue micro flake in this, it is definitely electric! 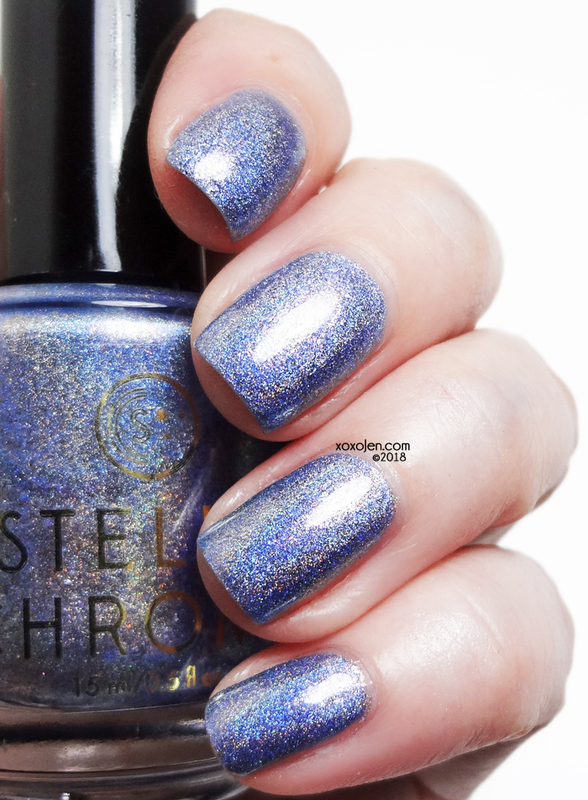 ultra holo periwinkle blue with pink shimmer and a dose of pink flakes. Almost a one coater, would do in a pinch. 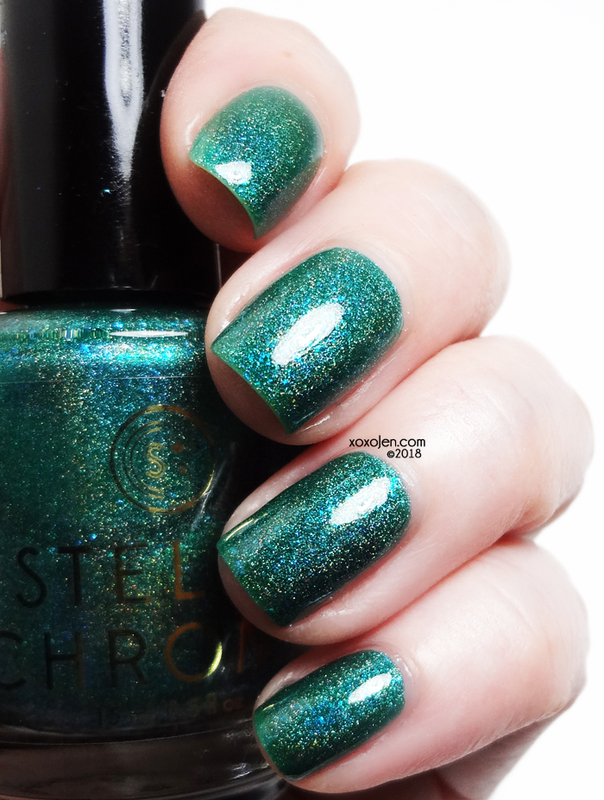 a grass green linear holo with bright blue flakies. Slightly sheer, but buildable in three coats here. a vibrant blue polish with linear holo, pink flakes, and green/pink shifting micro flakies. 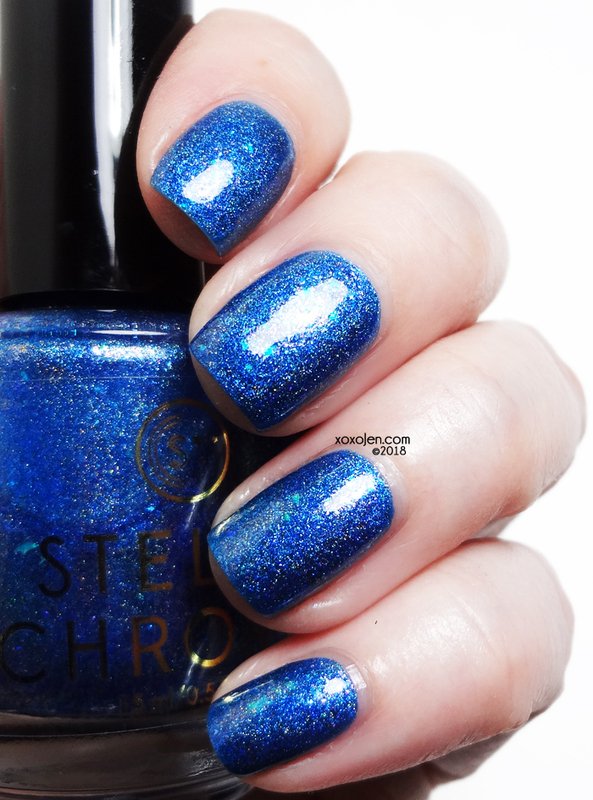 Love this shade of blue, its so bright and super sparkly! My photos each show two coats unless otherwise noted. If you typically paint thin, Pluminescence was slightly more sheer than the others and may need three coats. 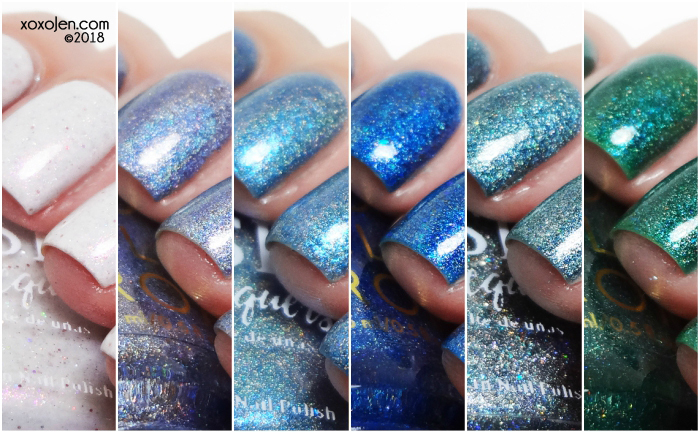 All of these HHC polishes are absolutely stunning, don't ya think? My favorites in this collection are The formula on each of these was fantastic! Beautiful, Jen! Thank you so much!